The season has changed and the perfumes have too. I love getting new scents to make me feel warm and snug when I bury my head in my scarf and smell the lovely scent I sprayed that morning. I am currently on a mission to use up a lot of the products which are in my collection so I haven't bought many new things for autumn, especially scent wise, however, I have still changed up the scents I am using to be a little more autumnal. I wanted to show you a few of the scents I have switched into my everyday perfumes for the autumn time and why I love each one! 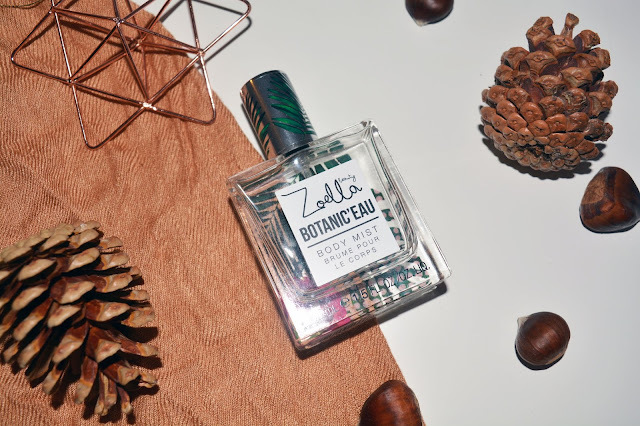 One of the scents I have which is fairly new is the Zoella Botanic'eau. I got this in the summer when the summer collection launched and I really do like the scent of it. It is a nice light scent which is a watery floral with highlights of freesia and delicate iris flowers. This is a lovely soft scent that has soft floral notes. 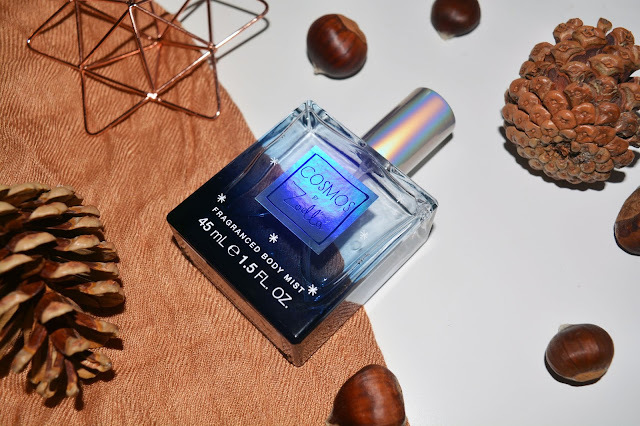 Though this is from the summer collection I still feel like it is a nice scent that is transitional and very 'all year round'. I definitely recommend this if you haven't been to have a smell of it, and for £8 at Superdrug, it is a good bargain. Another one I have recently got is also from the Zoella beauty range but is the new Christmas one. This one is called Cosmos and is a beautiful holographic space themed collection. This scent is a mix of mint blended with delicious red fruits creating a lovely scent. The scent isn't overly Christmasy, but it encompasses the cold weather and the change of season really well. I like the scent of this, I feel like it has a nice grown up scent to it that, even though I clearly have nothing against Zoella, doesn't smell like someone a stranger would instantly think was from Zoella. I say this because I feel Zoella has connotations of being a little more teen focused and I like that it can be enjoyed by all age ranges. This is £12 at Superdrug in their Christmas collection. For work I tend to just use a cheaper body spray just to keep me smelling fresh, but is just a cheap day to day one that I can throw in my bag, or leave at my desk and wont miss when it comes to the weekend. My one of choice at the moment is the Avon naturals blackberry and vanilla scented spray, this isn't strictly a body spray, this is for your body, room or linen and can be used for multiple areas of your home to. I almost feel like the scent is a little stronger and more long lasting due to being the room spray and linen spray type product. 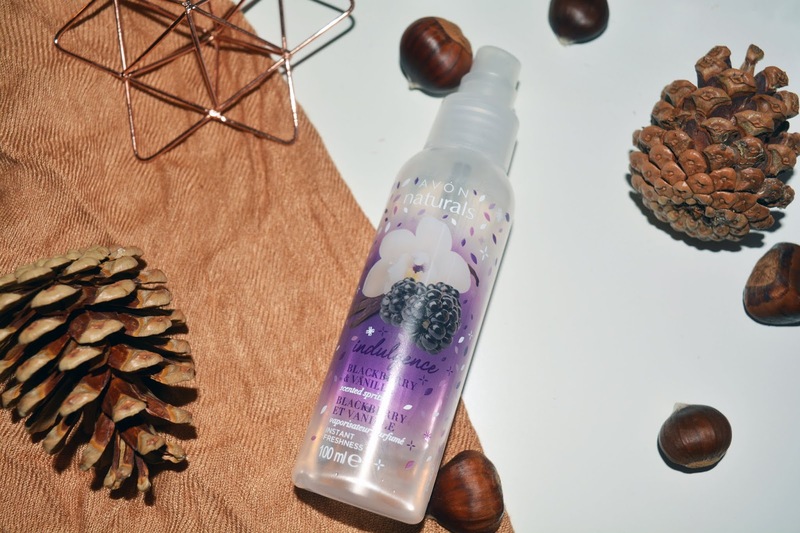 I always think of blackberries as autumn comes along and this is a nice, sweet but not too heavy fragrance that works well day to day. 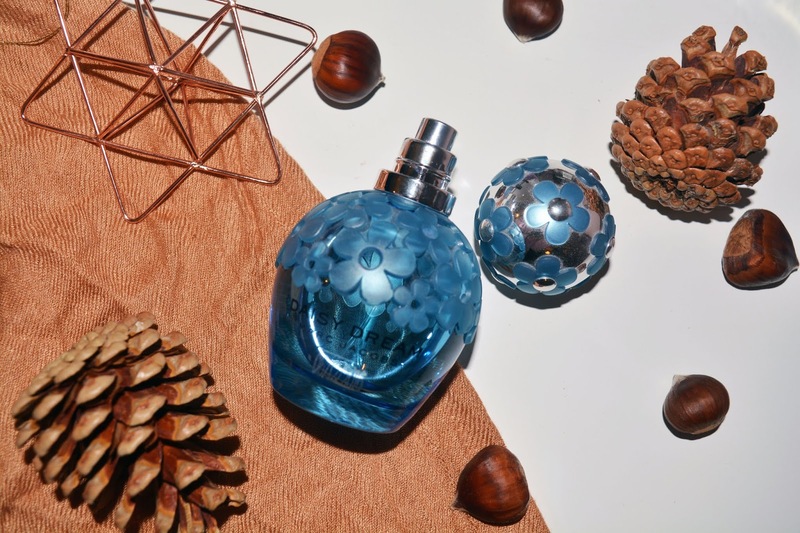 At £1.50 from Avon it is a really good deal, and worth a look at the scent selection. Finally one that does fit the more designer selection is the Marc Jacobs daisy dream forever. I always pull this out when it gets to autumn/winter as this was my wedding perfume, so it reminds me of the winter wedding, the change in the season and the happy memories of the day. While I do save it as a bit more of a special perfume, I know I should just use it, but I think it is a nice one to remind me of the day and keep for that little more special occasion. While I did think this was no longer stocked, I have found it on Debenhams for £65, so if you do want to get your hands on it, at lease there is the option! I would love to know what has caught your eye recently and what scents you reach for now the weather is changing to be colder!